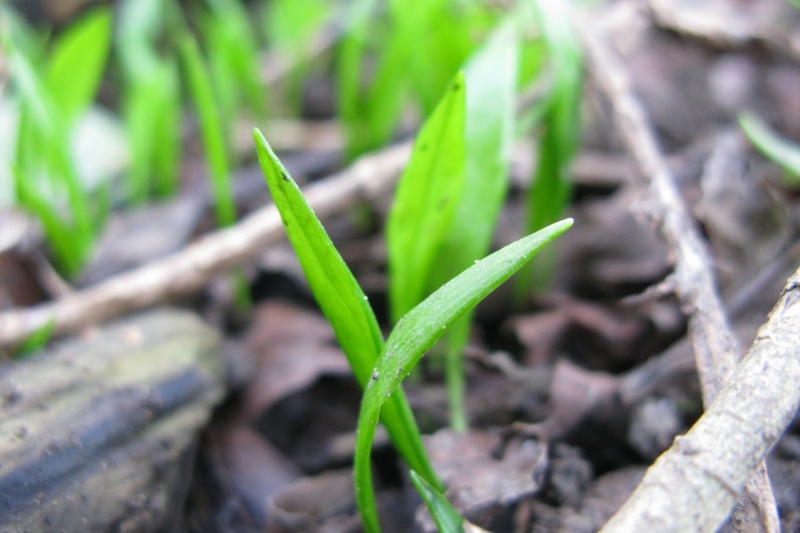 Ramsons (Allium ursinum): growing, planting, caring. Ramsons - Allium ursinum - also called buckrams or bear's garlic – is a wild relative of chives native to Europe and Asia. The latin name comes from the brown bear's taste for the bulbs and its habit of digging up the ground to get them. 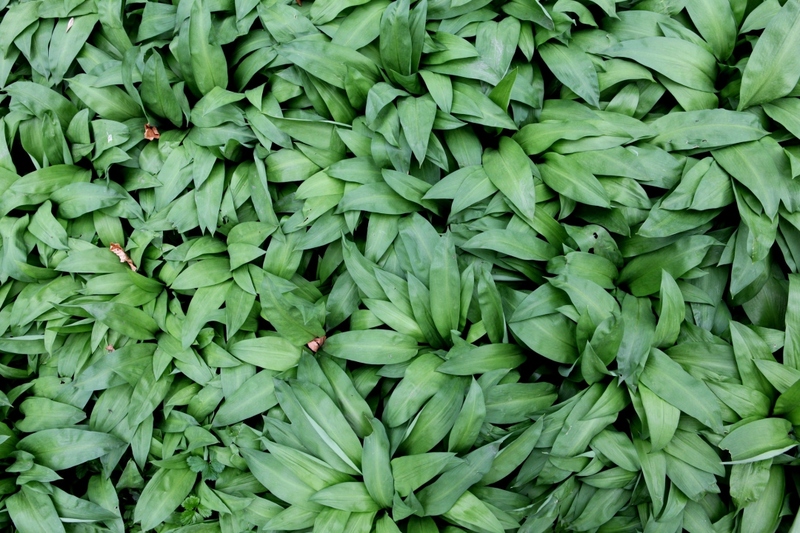 Allium ursinum is a bulbous, perennial herbaceous monocot, which reproduces primarily by seed. The narrow bulbs are formed from a single leaf base and produce bright green entire, elliptical leaves with a petiole up to 20 cm long. The inflorescence is an umbel of six to 20 star-like flowers with six white tepals. Don't mistake them with lily of the valley or Colchicum autumnale - as those are poisonous ! 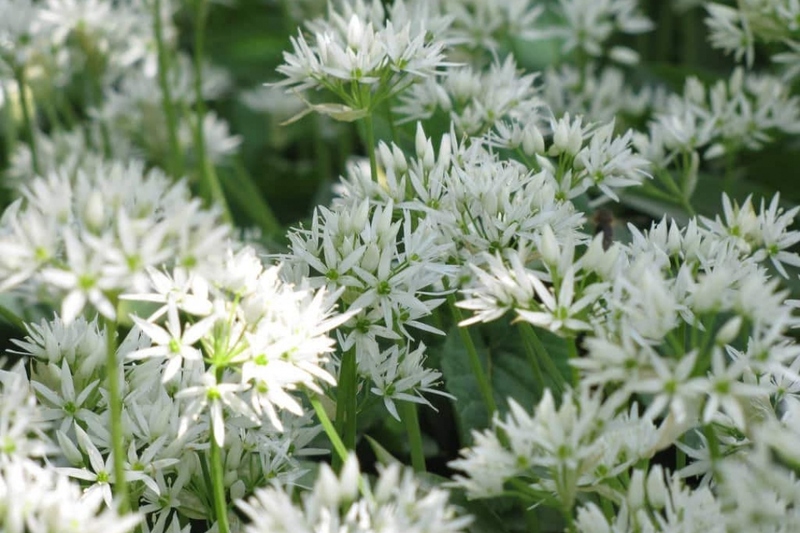 Sow your ramsons in the shade or in semi shade, in clay soil, drained, rich in humus. Prepare the soil by digging it (to decompact without necessarily turning it upside down, with a pitchfork), scratching and raking. Sow in low density in early summer, covering the seeds with mature compost sieved on one centimeter. Water gently. The first weeks after sowing, water regularly, almost every night if it does not rain, for a good post-seeding recovery. Then one watering per week in case of dry weather should suffice. The second year, you must thin out garlic every 20 cm. It's time to eat all the supernumerary plants! Unfresh breath guaranteed! Watch out for brown bears! They love this bear garlic, and it is better not to approach them when they have consumed them. You would not want to discover where the famous French expression "you have a bear's breath" comes from.